Join 1000 or so fellow local and regional runners for this year’s edition! This is a very fast out and back with a .75 mile downhill finish! One of the fastest 5K & 10K races in Georgia and a great Peachtree Road Race seeded qualifier for both distances! 39% of our runners have qualified for Time Group B (5K=<24:28, 10K=<50:59) or better over the last 4 years! In 2015 87% who ran the 10K had a negative split (2nd half faster than the 1st) by an average of 1 minute and 37 seconds. That's why we call it the Downhill Finish! This year we'll have the Fastest Last Mile prize for both the 10K and 5K male and female. $50 West Stride gift cards for those that complete the last mile with fastest split time. Also our race is one of the last chances to get a Peachtree qualification before registration opens in mid-March to get your results submitted for corral placement. All participants who registered online are eligible to win a free bike from Free Flite Bicycles! $700 in-store credit. 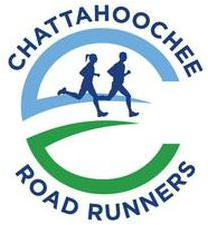 The Chattahoochee Road Runners' Club is a social club, which provides a forum for runners in and around the Atlanta area to meet to run, socializes, and discuss running and the running lifestyle. The club offers many opportunities and activities to its members including monthly meetings, a weekly email newsletter, and weekly-organized runs, as well as special events throughout the year. Professionally managed race by IWeLife. The race benefits the Chattahoochee Road Runners.